Custom Air Products & Services, Inc. (CAPS),recently announced the appointment of Michael Deatherage as Industrial/Commercial Service Manager. Since 2003, CAPS Service Division has proven to provide consistent service, preventive maintenance, and repairs to HVAC equipment in industrial, commercial and offshore industries throughout the United States and abroad. Successful growth lends itself to exciting challenges that can only be complimented by seasoned leadership, naming Michael Deatherage as the Industrial/Commercial Service Manager puts him in a prime position to lead the challenge. Michael’s HVAC education and career started over 40 years ago along with a proven track record in the service industry for being a solutions man. With an attitude of servitude, Michael believes that a customer’s solution is always in reach. 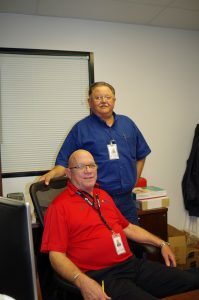 Michael boasts that “CAPS is the solution to assisting his customers in preventing and avoiding unnecessary downtime.” The initial purchase of HVAC equipment is usually a major concern to most companies and rightly so. But to Deatherage, the major concern is maximizing the life of that investment by avoiding or mitigating the consequences of equipment failure in order to keep his customers satisfied. The CAPS organization prides itself on having a highly qualified team of experts ready to meet customer requirements with quick turnarounds and excellent results in both domestic and foreign locations. They have over 100 specialty equipped vehicles ready to dispatch to any location throughout the United States and internationally trained personnel ready to deploy anywhere in the world all resulting in a reduction in customer downtime costs. Deatherage’s move to the new role of Industrial/Commercial Service Manager plays a big part in that strategic effort.